Exclusive ayurveda massage in an oriental-massage center in Madrid. The ayurveda massage helps to purify and balance the organism. It is both relaxing and stimulating as it acts at different levels through a battery of somewhat intense harmonic movements, interspersed with pressures on the main energy points of the body. The Hindu culture has brought Ayurveda to us, a real life philosophy that embraces age-old wisdoms about health, nutrition and mind-body balance. With its holistic focus on the human being, this knowledge coincides entirely with Kamiraku values. We pursue health and wellness from an integrated approach that includes sensorial perceptions as a plus. Precisely, alternative therapies allow for a continuous and personalized monitoring of each case, preventing the recurrence of the discomfort as they deal with the source of the problem, whether it is physical or emotional. Through ayurveda massage we clear your body from toxins by using the right essential oils for each person (previously warmed). We take in consideration the person’s imbalances, which we help to establish as we are professional therapists trained in oriental techniques. Ayurveda massage movements are rhythmic and intense, hence their purifying capacity. Results are tangible: as well as a deep relaxation, you get an immediate activation of the metabolism from the very first session. What if you receive ayurveda massages on a regular basis…? If you receive ayurveda massage on a regular basis, before long you will see its rejuvenating effects which can be perceived both inside and outside. 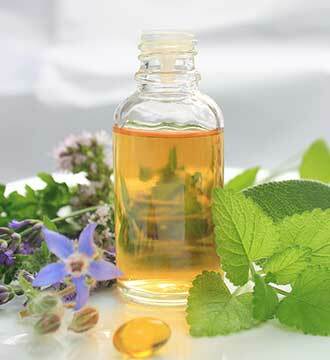 The skin quality improves immediately thanks to the nutritive and revitalizing action of the oils. Your mind will be released from tensions. Your face will reflect the physical and emotional wellness provided by ayurvedic treatments.